Evening Prayer, Short Program, Hospitality to follow. All are welcome! 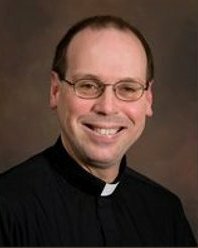 Reverend Gary D. Luiten has been appointed Pastor of St. Mary’s Parish in Park River and St. Luke’s Parish in Veseleyville, both in North Dakota, effective on June 30, 2010. This appointment will be for a six-year term. He will reside in the St. Mary’s parish rectory. Fr. Gary, is a priest of the Diocese of Fargo.